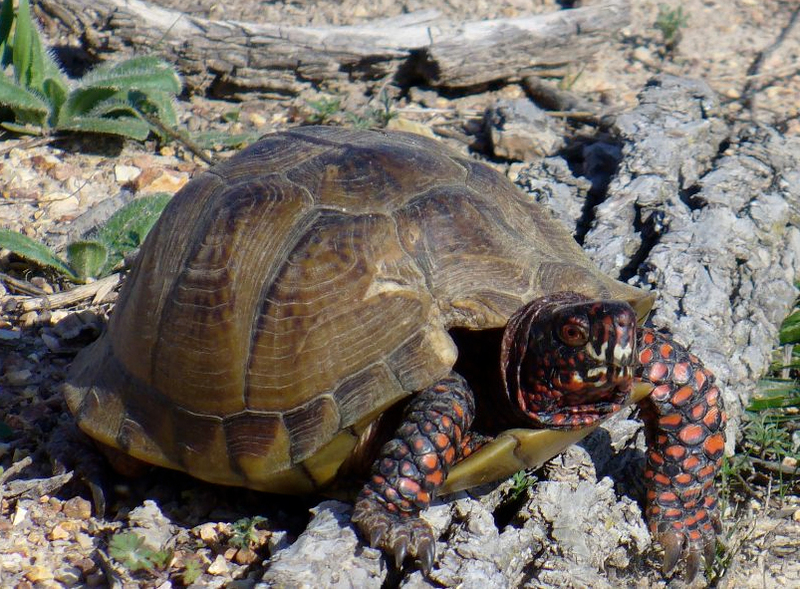 Three-toed box turtle (Terrapene carolina triunguis); photo by Jerry Oldenettel on Flickr (noncommercial use permitted with attribution / share alike). 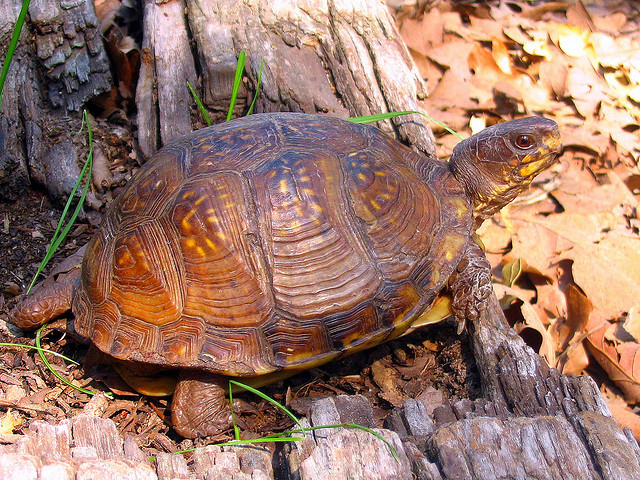 Missouri designated the three-toed box turtle (Terrapene carolina triunguis) as the official state reptile in 2007. 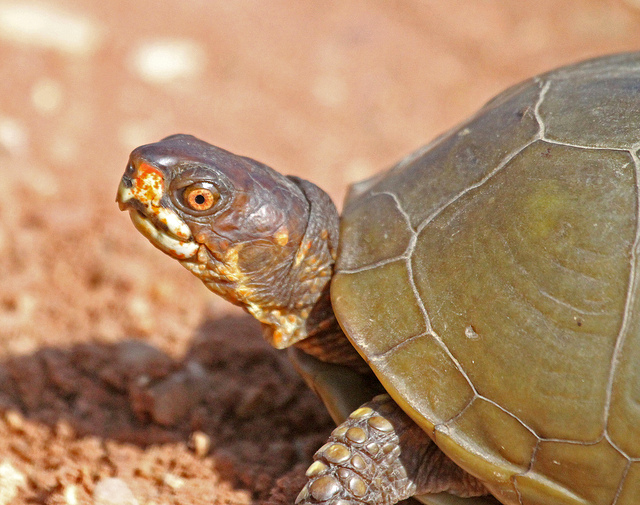 Three-toed box turtle (Terrapene carolina triunguis); photo by Erik Johnson on Flickr (noncommercial use permitted with attribution / share alike). Three-toed box turtle (Terrapene carolina triunguis); photo by Daniel Dennis on Flickr (noncommercial use permitted with attribution / no derivative works).